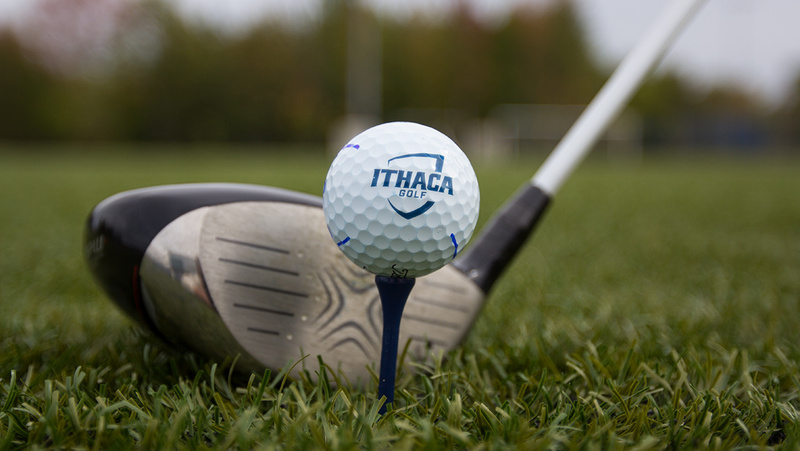 The Ithaca College women’s golf team notched their second win of the season over the weekend as they beat a nine–team field at the Martin–Wallace Invitational in Cortland, New York. The Bombers posted back-to-back team scores of 320, which was good enough to beat second place SUNY Cortland by 12 shots. Sophomore Peyton Greco and seniors Kyra Denish and Indiana Jones all shot two sub–80 rounds, the first time the Bombers had accomplished the feat this season. Greco was particularly impressive during the second day of action, as she shot a career best 76 (+4). Greco and Denish both finished with a score of 155 over the tournament, which earned them both a tie for third place, finishing four shots off the leader. Jones finished sixth with a two–day total of 158, her best of the season. Freshman Sophia Israel showed consistency as she carded two 86’s, good enough for a share of 22nd place. Lastly, freshman Isabella Perry improved her score by six shots in the second round with a 94 and finished in 42nd place. The South Hill squad now has two victories under their belt, coupled with another pair of top ten finishes. They will look to continue their strong season next weekend as the team travels to Williamstown, Massachusetts, for the Williams Invitational.